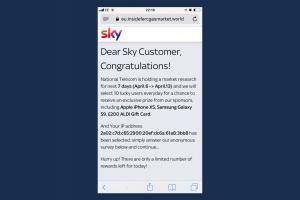 Sadly, Dear Sky Customers Congratulations are not in order, a lot of people are receiving either a pop-up or a text message claiming to be from Sky and offering the lucky respondents to a market survey a great prize. There is no great prize, in fact you lose control of your personal data as this is yet another phishing attempt by fraudsters. Phishing, (online identity theft), is still growing APWG research show that the number of unique phishing sites rose 46% in 2018. 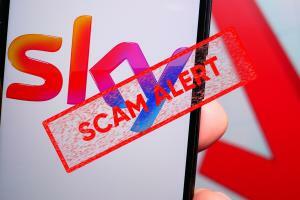 IF IT SOUNDS TOO GOOD TO BE TRUE IT’S A SCAM! Keep safe – Ensure that you have anti-virus protection, that it is up to date and switched on. However, it should be noted this ransomware there is currently no defence to!